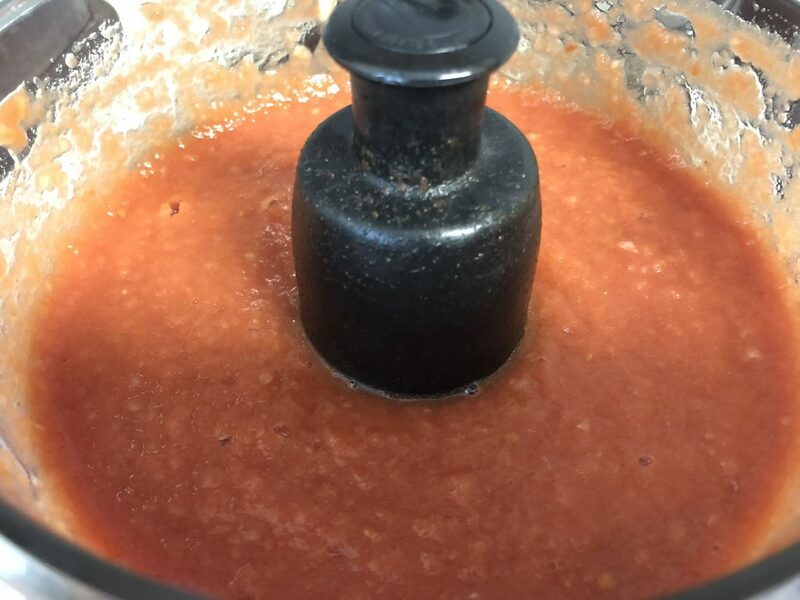 In a food processor or high-speed blender, puree the canned tomato and onion until smooth. Set aside. 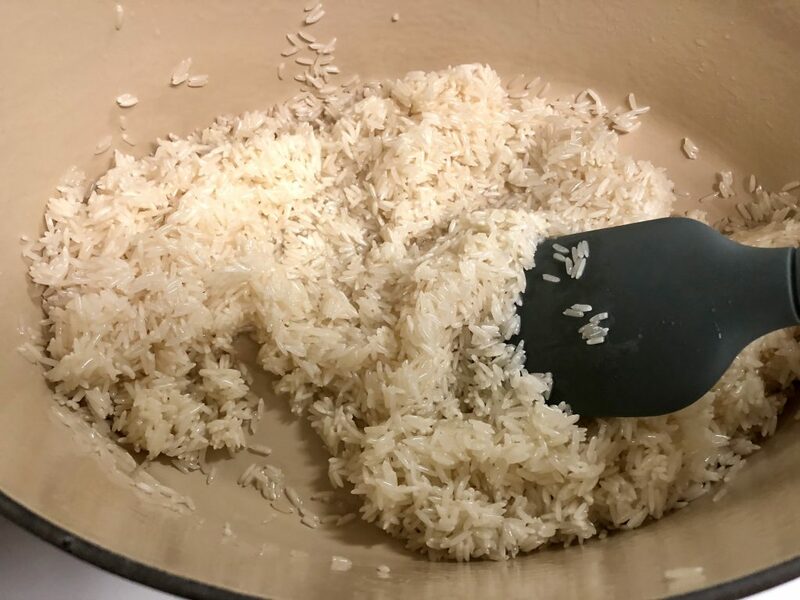 Add rice to a fine strainer and rinse until the water runs clear. Don’t skip this step! It helps remove the starch from the rice and will make the finished dish fluffier. Shake to remove excess water. In a medium stove/oven-safe dish with a lid heat the oil on med-low for 2 minutes. I like to use a dutch oven. 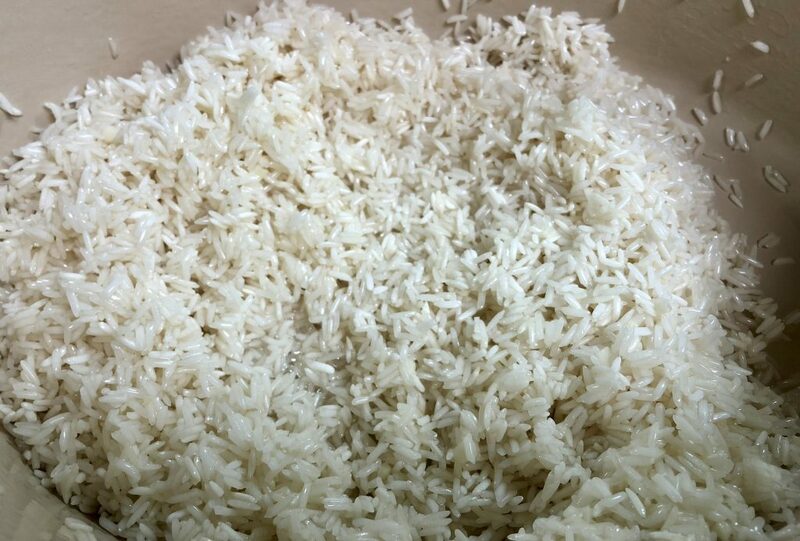 Carefully add the rice and stir constantly for 6 minutes. NOTE: If there is water in the rice, the oil will spatter. Increase the heat to medium and add the garlic. Cook until fragrant. 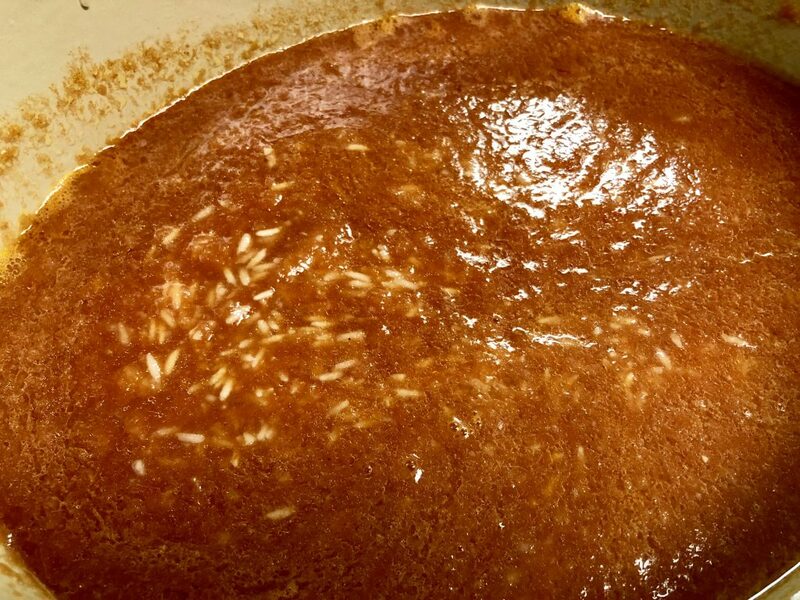 Add in the tomato mixture, broth, and salt. Increase heat to med-high and bring the mixture to a boi. Remove from heat. Cover the pot and place in the oven for 40 minutes. 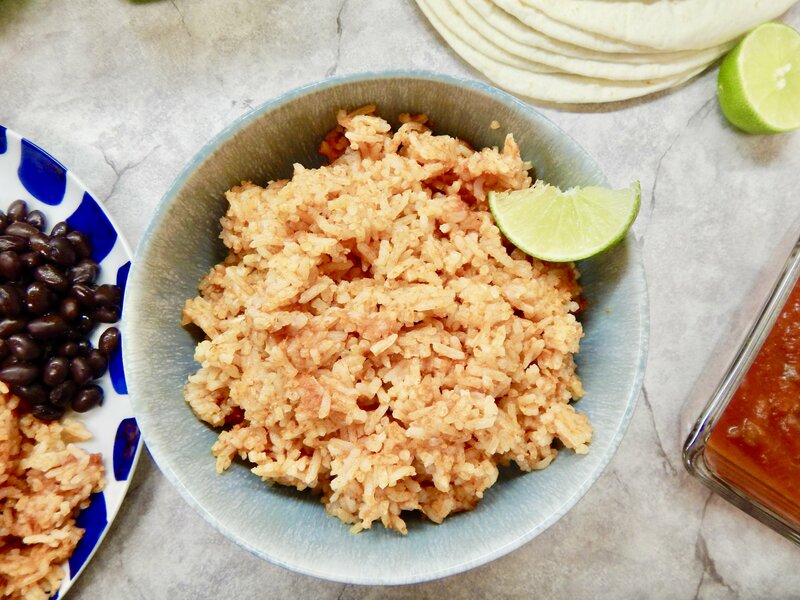 When cooked, fluff the rice and garnish with lime. Now that’s a good looking bowl of rice! 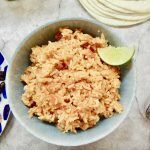 I hope you love this Restaurant-Style Mexican Rice recipe as much as I do. 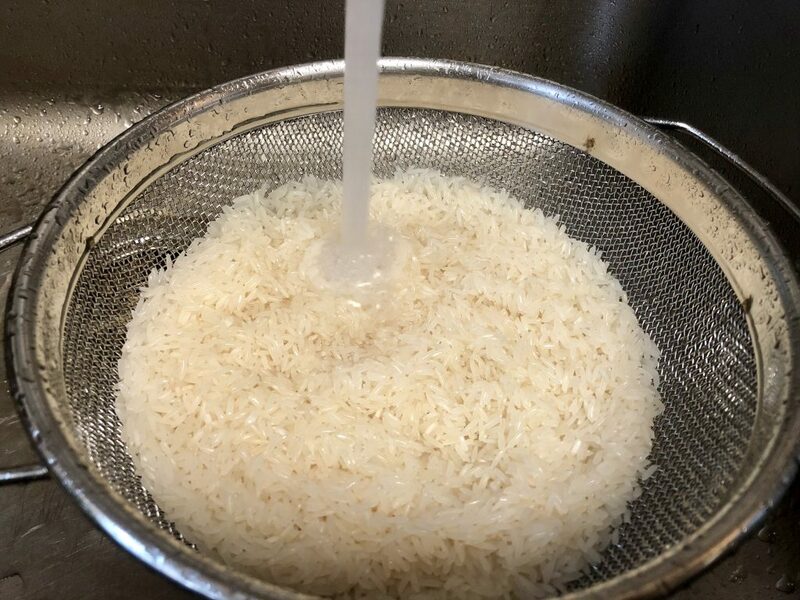 Add rice to a fine strainer and rinse until the water runs clear. Don't skip this step! 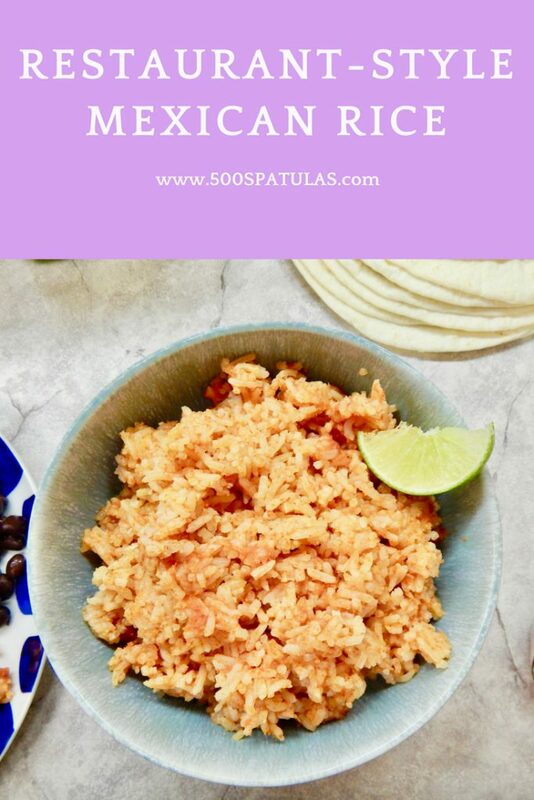 It helps remove the starch from the rice and will make the finished dish fluffier. Shake to remove excess water. In a medium stove/oven-safe dish with a lid, heat the oil on med-low for 2 minutes. I like to use a dutch oven. Carefully add the rice and stir constantly for 6 minutes. 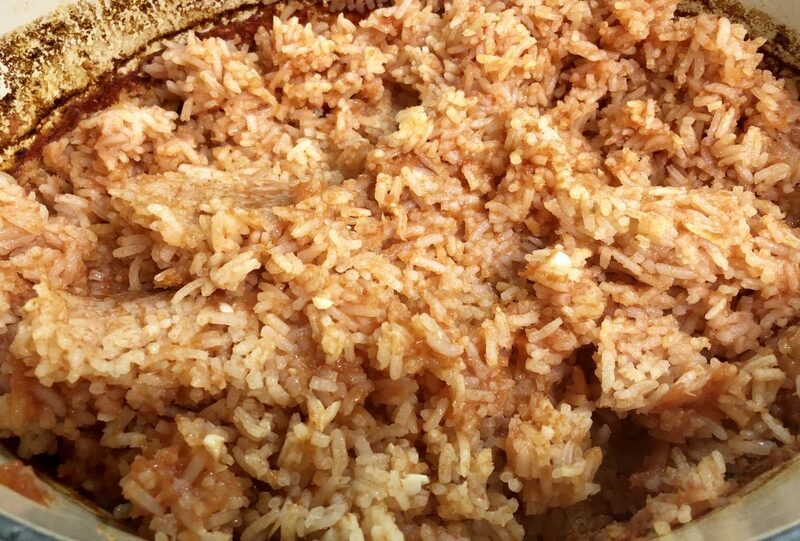 NOTE: If there is excess water on the rice, the oil will spatter. Add in the tomato mixture, broth, and salt. Increase heat to med-high and bring the mixture to a boil. Remove from heat.